Foxit Reader is rich-featured application to create, open, view and print PDF documents, fill forms, protect them with security and customize adobe reader files. The light size, less load, UI interface, wider functions, powerful tools, more security and flexibility makes it proud PDF (portable document format) reader. Foxit software has released many office and documents based tools that are available at reasonable price. The company covers Ubuntu, MAC OS X, Linux and MS Windows. The smart and taking minimum system resources makes Foxit Reader more popular among professionals and students. The powerful menu bar filled with bundle of tools that can help to create a professional letter, form or CV as well. It lets you complete control over page view; single page, double page front, split, direct scrolling, full screen view and others. Zoom to any specific digit by entering it manually, take screenshot of zoomed text or take printout of a targeted page from whole book. Create PDF Document: Creating forms with Adobe Reader Pro edition is best but they will take high price that may hurts you. The best choice is always freeware thing, Foxit reader doesn’t take any price from you; create standard format documents with professional design and layout. Multiple language support: The latest versions are rich with encoders of world’s popular languages which may includes: French, Spanish, Russian, Italian, Portuguese, Dutch and German. The next versions may include more languages from Asia and Africa. Take Printouts: Simplicity of Foxit software will fall every professional, teacher or student into love. It lets you control over book to take print of whole book, specific page number or choose a specific page number range. Everything is controllable with Foxit reader. View in Tab: Foxit reader will display multiple PDF documents in tabbed shape that is awesome feature. Unless, Adobe doesn’t include this feature so sometimes we need to view multiple documents at same time. 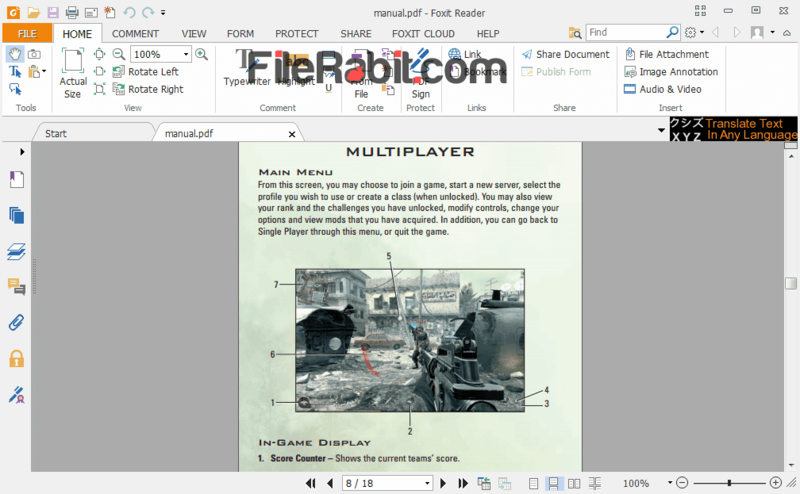 Choose Foxit reader as default PDF document reader to view documents in multi tabbing shape. Powerful Tools: Special collection of professional toolset e.g. marquee, magnifier, annotation, loupe and others. Just import graphics, type text, apply colors, draw tables, highlight text or apply borders. Foxit reader give control into your hand. Put Security: Electronic documents are more important than hard copies because hard copy can be identified as fake but electronically signed documents may create high risk for your business. 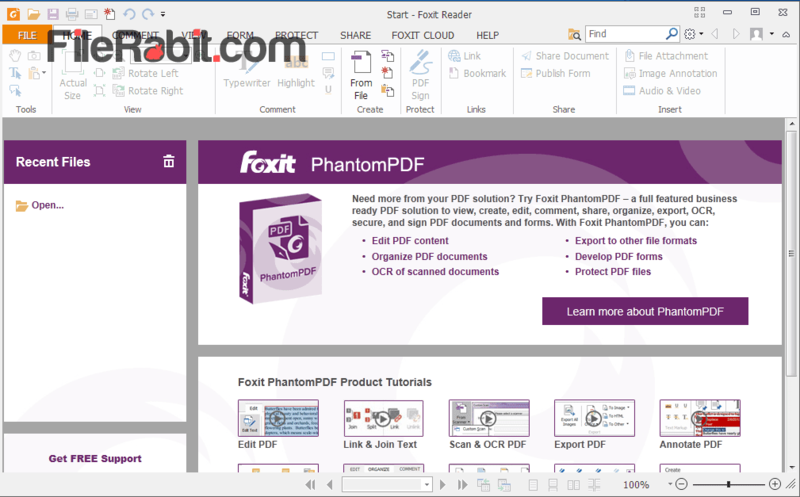 Foxit gives ultimate security and protection for all important PDF files that you created with it. It will keep you documents safe and away from unwanted hands. Fill Forms: Many of forms can be filled on computer without taking printout. This will need a powerful and helpful PDF reader to ensure everything for you. Most of visa forms, job forms, challan forms and application forms can be filled out electronically and then take print to have clean copies.